Globally, CARE has over 9,000 staff, the majority working directly in poor and developing countries. Nearly 95% of our staff are nationals of the country where they work. That’s because local experts have the knowledge and know-how – backed up by our 70 years of poverty-fighting experience worldwide – to deliver the change that is needed in the communities where they work. CARE International UK (CIUK) employs around 110 staff. Most are based in the UK but some are based in CARE offices around the world. CIUK staff help ensure that CARE staff on the ground have the funding, technical assistance and support they need to make the biggest impact on poverty. CARE is a great place to work – current vacancies are advertised here on our website. Laurie joined CARE International UK as Chief Executive in August 2014. He previously worked for the Bill & Melinda Gates Foundation, where he led the team working on policy, advocacy and government relations in Africa. Prior to 2008, Laurie was a civil servant in the UK Government, mainly in the Department for International Development (DFID), in which his last position was Deputy Director and Head of the International Trade Department. From 2004 to 2006 Laurie served as Deputy Director and Foreign Policy Adviser on Africa to the UK Prime Minister, helping to negotiate some of the key agreements on debt, aid and HIV and AIDS reached during the UK’s presidency of the G8 in 2005. Harbinder joined CARE International UK in April 2014. Harbinder has spent most of her working life in the not-for-profit sector, most recently in the international development sector. Previously she has held senior positions at Christian Aid, Phoenix Futures and the Development Trusts Association. She is a Chartered Fellow of the CIPD, the professional body for human resources and people development. Rachel joined CARE International UK in February 2015 having spent five years in a similar role with International Rescue Committee UK. Prior to this she worked for the British Council in a range of roles, and has wide experience of contracts and compliance for a range of donors, as well as change management relating to new systems and business process improvement. Shabby was appointed Fundraising, Partnerships and Communications Director in January 2016, having previously worked at CARE for four years as the Head of Direct Marketing. Shabby has a broad background of business-to-business and consumer marketing and sales in both the commercial and charity sectors. Edward Bickham holds a number of senior advisory roles in the mining and oil and gas sectors on license to operate and development-related issues. He has worked extensively at the interface between government, business and civil society including at Board level (until 2013) in the Extractive Industries Transparency Initiative. Nigel Chapman has a variety of roles as a non-executive director and trustee within the public and not-for-profit sector, including for the South Central Ambulance Service NHS Foundation Trust, Shelter and Chair of Nacro. Nigel was CEO of Plan International from 2009-15 and before that spent over 30 years in broadcasting, culminating in leading the BBC World Service from 2004-9. Carolyn Clarke is Head of Internal Audit, Risk & Controls at Centrica PLC. She has been involved in the international development sector for the last 10 years with a particular interest in the participation of women and children. Carolyn specialises in the implementation of risk and governance practices throughout organisations, and in how the behaviours of people within organisations contribute to the achievement of strategic objectives. Michael Dyson is career economics and development consultant, with extensive working experience covering some 80 countries. Clients include governments, donor agencies and facilities, state owned enterprises, NGOs plus the private corporate sector. Michael has a long-term personal commitment to development outcomes and impacts. Esther Kwaku is the Founder and CEO of The Nerve Network, a social enterprise which supercharges brilliant people living in remote, low-income places to start their own businesses. Her drive for social change has seen her working for a number of international charities through a 20-year career spanning fundraising, strategy, communications and marketing. She has also worked on global humanitarian issues in Sudan, DR Congo, Ethiopia and Myanmar. Nadine Nohr has worked in international media investment and distribution for the last 25 years including with the BBC, ITV and MTV. Most recently she ran production group Shine’s international distribution business, and she currently runs an independent media consultancy providing strategic and commercial advice to producers and broadcasters worldwide. Campbell Robb is Chief Executive of the Joseph Rowntree Foundation, an independent organisation working to inspire social change through research, policy and practice. From 2010-2016 he was Chief Executive of Shelter, and he has also worked as a Director General in the Cabinet Office, as an adviser to the Treasury and as Director of Public Policy at the NCVO. Marian Rose is Director of Fundraising and Communications with TREE AID, an international development organisation which relieves poverty and protects the environment in the African drylands. She has over 20 years’ marketing experience in the charity and commercial sectors including at Save the Children, NSPCC and Times Newspapers Limited. Federica Sambiase is a corporate financier specialising in Trade Finance and Transactional Services for large and medium corporates, including Citigroup, Mellon and ING. She is a lawyer by background, and has been an active volunteer for a number of years, focusing on diversity, coaching and training. Dr Yusaf Samiullah has worked in over 30 countries. Between 1995 and 2010 he worked for the UK Department for International Development in India, Southern Africa, Iraq and Pakistan. He has published extensively on environmental management, science, technology and engineering and is presently director of two businesses, focusing on international development consulting, and digital technology. Erin Segilia Chase is Global Director and head of the philanthropy practice at Catalyst Consulting Group, an international consulting firm that delivers innovative advocacy strategies to raise awareness, mobilise resources and build capacity for social change in global low resource settings. She has over 25 years of experience as a senior executive and consultant and has worked across multiple charitable sectors including social justice and human rights, higher education, and public health. Erin is a member of the Board of Trustees of International Alert and the Global Leadership Board of Seeds of Peace. Edward Sparrow is a solicitor, who has practised as a commercial lawyer in the City of London for many years. As a partner in Ashurst, he acted as the manager of the long and happy relationship between the firm and CARE International. We work in partnership with local NGOs, community-based organisations and community groups in both our humanitarian and long-term development work. These local partnerships are critical to our efforts. We draw on our partners’ local knowledge and relationships to ensure that we can effectively support the most vulnerable people and communities in the countries where we work. 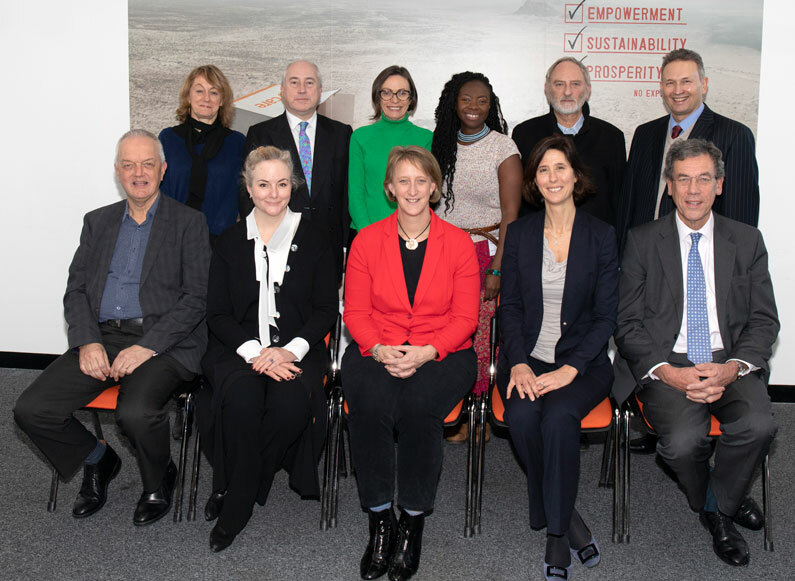 And through these partnerships, local groups gain skills and experience in designing and delivering poverty-fighting programmes, so increasing their ability to fight poverty now and in the future. We also work in partnership with international bodies, local and national governments, and the private sector – all of whom have a critical and complementary role to play. 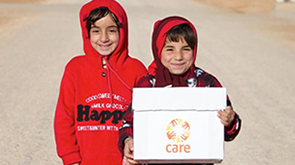 Given CARE’s expertise and knowledge, we aim to be the partner of choice for governments, civil society organisations, social movements, the private sector and donors who seek long-term solutions for fighting poverty and social injustice.